A Harlem Townhouse On Fifth Avenue rented for $21,815 per month this week, which sources say is a record for the area. The deal on the seven-bedroom, four-bathroom home at 2001 Fifth Avenue included one month of free rent on the 12-month lease, which brought the net-effective rent down to $19,995 a month. 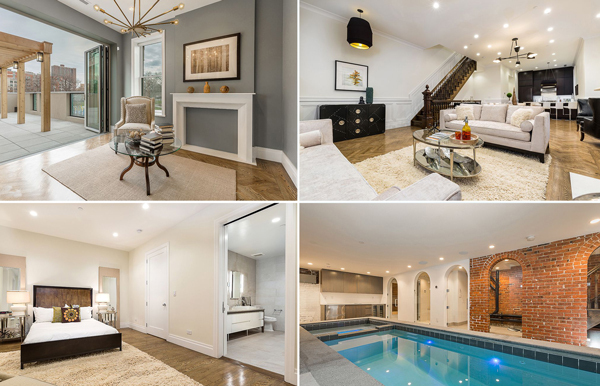 The home features an indoor infinity pool, a private elevator and a two-car garage. Jordan Cherson was the leasing agent. Last month, Manhattan’s median net-effective rent was $3,377, according to Douglas Elliman’s monthly rental report. More than 25 percent of Manhattan apartments rented during May came with some sort of landlord concession. There’s been a glut of ultra-luxury rental properties on the market in recent months, and some tenants are scoring steep discounts.